Last year, Masie Potter was voted most outstanding seventh grade female athlete. She is a super basketball player. But last summer, she developed a crush on classmate Eric Delong. Now her priorities have changed. She will do anything to be near Eric-even join the wrestling team. From the first, Masie gets opposition and antagonism from all sides: friends, classmates, teachers. Soon, her place on the team isn't about Eric any more. It's about determination, discipline, and perseverance. As Masie struggles against opponents on the mat, she must also deal with cruel jeers and taunts in the halls. Can Masie be a champion? 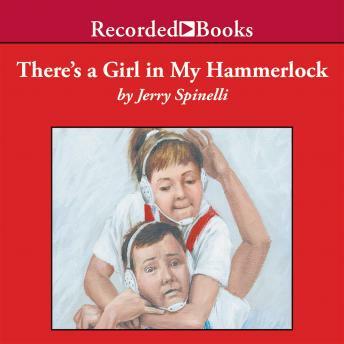 Jerry Spinelli has written many popular books for young readers, including Space Station Seventh Grade and Who Put That Hair in My Toothbrush? With a solid talent for creating realistic characters and dialog, he is sure to have listeners cheering for the feisty Masie as she wrestles with some of the tougher issues of peer pressure.